I wrote this piece below in 2005 because the Merdeka Stadium is close to my heart. As we celebrate our 52nd Merdeka on Monday, I felt that this piece should see light again for the benefit of those who might have missed it four years ago. I will update the article as things have changed in the last four years. For one, I lost my father two years ago. In a way, this article is dedicated to him, for he was the one who introduced me to Merdeka Stadium, which later became very much part of my life as a student, a fan and finally, a sports journalist . I miss him, especially during Merdeka, because he used to tell us stories of the Japanese Occupation where he was a Hindi interpreter, then his stint with the Indian National Army (INA), the various places he was in Malaya at different stages of his life which included Port Dickson, Johor, Beruas, Malim Nawar, Ipoh, Bagan Serai, Nibong Tebal, Tampin and Kuala Lumpur. He also had stories to tell about India. Although he was born in Johor on 21st Oct 1923, my grandfather decided to send my father and his elder brother together with my grandmother to India,because of financial difficulties. My grandmother came back to Johor after sometime leaving her two sons there to brought up by her in-laws. My dad and his brother returned to Malaya some years later and headed to Taiping, before moving with my grandfather from one place to another. My father also told us stories of Merdeka and about life which was so much simpler, harmonious and peaceful. I miss the recollections and cherish those moments, for I dearly miss them. Life is always that way, one misses someone much more, when the person is no longer around. For me, it is not only my father that I miss, but my mother too, who passed away in 1997. I miss them both very much especially since I do not have anyone to call dad or mum. For those who still have their parents, cherish these moments and bear with their moods and grudges, because it will be too late when you start missing them. My consolation is that, I did everything I could for my parents, although on the hindsight, I feel that I could have done more. These days when I look into the eyes of my son and daughter, it reminds me of how my dad and mum would look at me. This repeated story is in memory of my parents. I have also attached my television interview on the 50th Merdeka anniversary. 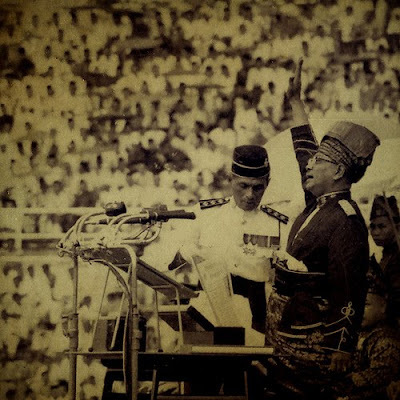 THE nation was born on sporting grounds at the stroke of midnight on Aug 31, 1957, at the Selangor Padang (now known as Dataran Merdeka) and at Merdeka Stadium, where the proclamation of independence was held the next morning. Such is the rich history of sports in this country and as we celebrated our 48th year (2005) of independence on Wednesday, one could not help but look back at yesteryears, when sports enjoyed more glory and accorded higher status. After all, soccer and a few other sports were part of the legacies left behind by the British and have been part of Malaysian culture since the1920s. It was Tunku Abdul Rahman Al-haj's vision which saw Merdeka Stadium built in record time and officially declared open on Aug 30, 1957, in time for the Merdeka celebrations the following morning, where more than 10,000 attended the parade. And it was Tunku's vision which saw the birth of the Merdeka soccer tournament that soon became a prestigious event in Asia. The Asian Youth tournament two years later was also the Tunku's brainchild. Malaya became champions of the Merdeka tournament in 1958 and several times thereafter. And it was not only in soccer that Malaysia excelled in, but also in badminton where Wong Peng Soon and Eddy Choong dominated the All-England badminton championships from 1950 to 1957, following which Tan Aik Huang won it again in 1966. 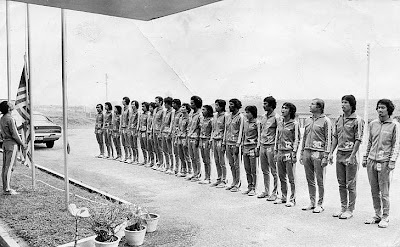 Malaysia then had athletes like Datuk Dr M. Jegathesan and Isthiaq Mubarak reaching great heights in the Olympics, and the hockey team that reached the World Cup semi-finals in 1975 at Merdeka Stadium. While the nation have grown by leaps and bounds in all other areas, it is sad that in sports, despite all the modern facilities, technology, funds and rewards that are readily available, has deteriorated. So what has gone wrong with Malaysian sports which started off on such a strong note, but failed to grow in parallel with the nation, but instead has faltered? Other nations who played second fiddle to us and feared us in the past, are now giants and have attained world-class level. The biggest problem with Malaysian sports is there is not one weakness or flaw that can be identified which could be rectified. The ills befalling Malaysian sports have become widespread over the years, and it is really hard to pinpoint the cause in order to provide the antidote. But probably, the fact that Merdeka Stadium, a historic landmark, was almost reduced to ashes in 2001, should give Malaysians an idea of how much they treasure the memories to emulate those who toil and sweat for their achievements. And it comes as no surprise that Malaysian sportsmen and women do not display the same passion, spirit, determination, discipline and dedication to strive in the sporting arena. For me, my association with Merdeka Stadium started without my knowledge when I was only a year old in 1959. My parents actually held my first birthday tea-party at the restaurant in the stadium! No, my parents were not rich, but caretakers of a guest-house, but having been married six months before Merdeka and being part of the celebrations, they probably treasured those moments and wanted me to share the joy and happiness by throwing a party for me there. I may not have known it then, but that association 46 years ago has virtually "married" me to the stadium. I only realised the tea-party was at Merdeka Stadium, as I grew older and recognised those black-and-white photographs taken then. Then as a schoolboy, I ran along the Merdeka Stadium bitumen tracks at my school's (St John's Institution) sports day and played in the Selangor Schools U-18 final against La Salle PJ in 1975, which we won. And how can I forget the 1975 World Cup semi-finals which I watched as a schoolboy? And from the early 80s, Merdeka Stadium became my regular haunt as a cub reporter covering Razak Cup, Asian Schools, Malaysia Cup and Merdeka tournament soccer matches, in addition to the countless athletics meets, not to mention watching live concerts there, including Eric Clapton's performance. Millions of other Malaysians will have similar tales to relate, and which will be told for many years to come. And to think of the disrespect and disregard for the Grand Old Lady, that has been accorded Merdeka Stadium, is indeed scary, not to mention our Father of Independence. Thanks to Permodalan Nasional Berhad, who had taken over from previous owners United Engineers Malaysia Berhad, and their chairman, Tan Sri Ahmad Sarji Abdul Hamid, a concerted effort has been made to conserve and preserve the stadium. The historical Stadium Merdeka here was given the “Award of Excellence” in the 2008 Unesco Asia-Pacific Heritage Awards for Culture Heritage Conser­vation after successfully being restored to its full glory. It is disconcerting that Malaysians have gradually been ignoring the value of sports. Efforts are being made to instil the sporting culture in Malaysians once again, but it is not something which will take place overnight because they must feel the sporting spirit first. Some may think it is far-fetched to associate Merdeka Stadium with the ills of sports in the country today, but it was where it began for the nation and sports. And if Malaysians do not value those moments and try to relive them, let alone better them, a part of our history would already have been erased. Merdeka Stadium is the soul and character of Malaysia and their sporting achievements. For as long as Merdeka Stadium still exists, it will bear testimony to Malaysia's glorious sporting past. Maybe, that was why they wanted to reduce the Grand Old Lady to ashes and build skyscrapers instead! I was not a student during the time of the late Bro. Lawrence Spitzig's tenures as Director of St. John's Institution (1956-60, 1978-83). My four years in the school occupied the span (1969-72) that was the initial years of Bro. Director Joseph Yeo, whose driving energy built on the foundations in the academic and sporting fields laid earlier by Bro. Lawrence and later, by Bro. Joseph McNally. It was only after I left school and started on a career in journalism that I encountered Bro. Lawrence. In fact, my first encounter with him was in February 1983 when he was given a grand retirement send-off by the school, an event that a close friend, Master Vincent Fernandez, invited me to witness. On that occasion, I could gauge the affectionate regard in which he was held by pupils and staff of the school. I could not help but feel a pang of gloom for I sensed his retirement foreshadowed the close of the illustrious days of the Lasallian tradition in education in the 59-odd schools that the Christian Brothers (FSC) had run in Malaysia since 1852. They had done a magnificent job educating something like 2 million students who had passed through the portals of their schools. But beginning in the 1980's, that excellence was to receive niggardly acknowledgment from the powers that be in Malaysian education. I felt that Bro. Lawrence bore in his visage the sadness of that reality. On a couple of occasions that sadness broke through his veneer of propriety but even then, it expressed itself in the apologetic tones of the studied gentleman. Anything faintly acerbic would have been improper of a man whose religiosity was deep though never worn on the sleeve. I remember the gathering of old boys of the Lasallian schools in Kuala Lumpur in December 1991. These biennial gatherings would start with a seminar on what should be done by old boys to sustain the tradition of Lasallian schools. Socio-political luminaries of Malaysian society, all old boys, would grace the seminar in which much warm sentiment about the worth of the Lasallian tradition would be expressed. Attendees, spurred by the happy memories of their times in school, would be laved in a nostalgic glow. For all the nobility of the intentions expressed, there was not a snowflake's chance in hell that anything save the most meager concession would be obtained by the most influential among old boys from the powers that be towards the maintenance of the Lasallian tradition in their last redoubts, which by the 1990's were lacking in even the white-robed gentry whose presence among the teaching staff, either as headmaster or as specialist teacher, was the distinctive mark of the Fratres Scholarum Christianarum (FSC). Sadly, those biennial gatherings were exercises in futility, proof to me of the truth of a line from a favorite poet, T.S. Eliot: "Humankind cannot stand very much reality." Bro. Lawrence, too, must have found it difficult to face the reality that there was nothing much anyone could do about the decline of the Lasallian tradition in schools the Brothers had built and nurtured. I had an inkling of Bro. Lawrence's bafflement at the way things were turning out for Lasallian schools in December 1991, on the margins of the seminar for old boys. In a sadly earnest way, Bro. Lawrence told me that other schools (meaning schools that were apparently envious of the high standards of Lasallian schools) could also be as good if they worked hard and did things right. It appeared he believed the downward spiral in Lasallian fortunes were due to resentment at its high standards on the part of those with influence in Malaysian education policy. Listening to Bro. Lawrence on that occasion, I saw a man already in his early seventies, a little worn from a lifetime's labor, lamenting a situation that he never expected he would see. The fate of Lasallian schools he was bemoaning was not just the product of envy or resentment; it was something more sinister than that. The powers that be simply did not want to see these schools continue to project the high standards they had long been known for. That sinister intention was aided and abetted by a sociological trend in the 1960's and after: the decline of vocations to the FSC. Together, the two factors put the skids under Lasallian education in Malaysia. This situation must have been very hard to take for the dwindling band of Brothers, especially the older set. Not only were the schools they helped build, sometimes by personally going around hat in hand (as Bro. Lawrence did) to raise money for their construction, disappearing; the Lasalllian tradition in the flagship ones were hard to sustain because of loss of control over appointment of teachers and headmasters, and also changes to the curriculum. Where once the writ of the Brothers ran unchallenged, they now were marginalized; a cipher in the system instead of esteemed contributors. It was all very sad. But there was simply nothing one could do about it. The idea of a federation of alumni of Lasallian schools was mooted in the late 1980's to see if old boys of stature in Malaysian society could be moved to bring their influence to bear on policy makers to reverse the decline of the Lasallian tradition. When it was seen that chief ministers, cabinet ministers, top civil servants and corporate figures were among the alumni of these schools, hope in the early 1990's was euphoric that something could be done to stem the decline. Alas, hope was a good breakfast but a lean supper. By the mid-1990s, it was evident that nothing could be done to stem, leave alone reverse, the declension. This was where I noticed in the sad figure of Bro. Lawrence the lesson I thought he taught everybody who was minded to: how a missionary educator faces, regardless of old age, dispiriting realities such as the decline of institutions he had contributed to building and the evanescence of an ideal - gratuitous service in the education of the young and the poor - he had upheld since the age of 17. Bro. Lawrence just forged on and sought to serve education in areas where he saw a need. In other words, there was no time for any attitude other than as St. Paul had counseled: to rejoice in hope, to be patient in tribulation, and persevering in prayer. By 1996, pushing eighty, Bro. Lawrence had found another focus to his vocation - helping to obtain rudimentary materials for the schooling of kids in a hamlet in the Sabah interior. He would take pictures of malnourished children and of old women in their thatched huts and classrooms and show them when he returned to Kuala Lumpur to whoever he felt could help raise the wherewithal to bring hope to the downtrodden. "You know it's for the government to do these things," he opined at one interview when I sought to write about his latest foray into the Sabah interior for a religious publication. By "these things" he meant building schools for the poor in rural areas. But of course there wasn't, even after more than three decades of Sabah's joining the Malaysian federation, going to be much priority on education for the poor in the Sabah, or even for that matter, Sarawak interior. I remember the look of pained bafflement on his face when he sought to tell a general meeting of the alumni of St. John's Institution, held at the Lake Club in the year 2000, of his mission in Sabah. He framed his discourse with the term "Lasallian", by which he meant that the latest edition of what he had attempted to do at St. John's, St. Xavier's and La Salle Petaling Jaya decades ago, had now taken him to the Sabah interior where the need for Lasallian service was probably more compelling than he had ever encountered in his life. 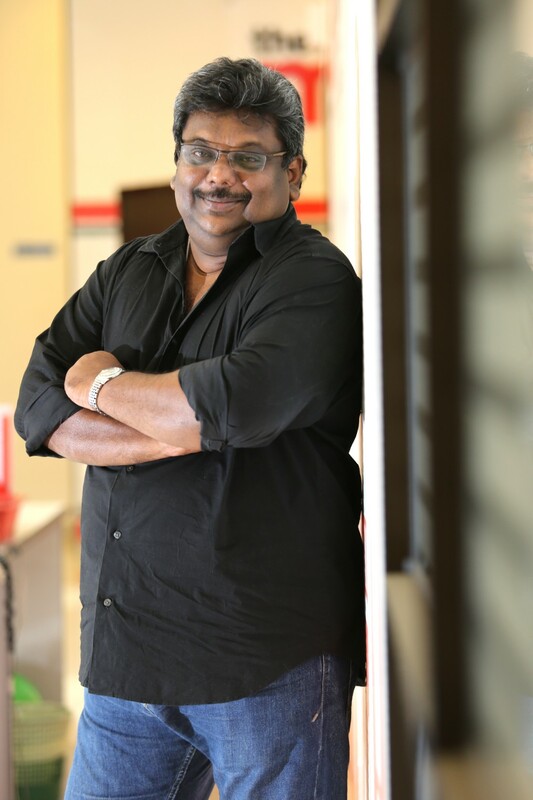 The fervent missionary wasn't going to scant, at a convivial gathering of SJI alumni, an opportunity to generate help for the needy he was presently committed to. An ex-student got up to remark that he thought he had come to a gathering of Johannians, so he could not understand what all the 'Lasallian' talk was about. In that moment, the foolish sublimity of the Lasallian endeavor in Malaysia was patently exposed. 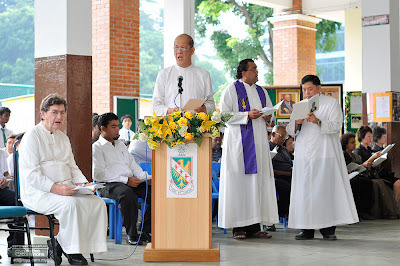 In studiously avoiding any proselytizing and in confining religious instruction to the less than 10 per cent of the student enrolment who were Catholic, the Brothers in their teaching mission had adhered to supra-partisan standards and values in a multi-racial, multi-religious environment, long before the era of 1Malaysia. So non-partisan had they been that that former student, someone I recall as having the education and mingling of an urban sophisticate, did not after all his years at an apex school, know that the phrase 'Johannian' was conflated in the term 'Lasallian'. Sitting in the audience that evening, I did not know whether to laugh or to cry! If an intelligent ex-student did not know that there was no essential difference between 'Johannian" and 'Lasallian', it suggested that the Brothers had bent over backwards to avoid the faintest form of proselytization. Bravo 1Malaysia, not so St. John Baptist de Lasalle. It was sad but more importantly, it was oblivious of a cardinal requirement of the faith, incumbent of every missionary: That you make Him known in what you do. It was not widely known that Bro. Lawrence Spitzig, serious of mien but subtly humorous of disposition if you knew the man behind the façade, had a favorite one-liner which he, in avuncular fashion, dispensed on light occasions. "Don't do anything rash now," he would say in the mellow, slightly rasping tones of a voice that seemed perpetually on the mend from a common cold. 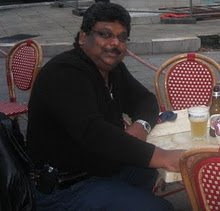 One evening, in 1996, after sunset Mass at Holy Rosary Church in Brickfields, the Brothers were hurrying to their car which was parked in the area in front of the church. Trailing at the back, I called out, "Don't do anything rash now, Brother." Bro. Casmir Hannon, soon to pass away from cancer, chuckled even before his elder confrere could recognize the imitation of his familiar jest. They broke out in laughter at this example of the taught gently admonishing the teacher. A subsequent occasion I could not resist asking Bro. Lawrence the intention behind the one-liner. "It simply means be good," he said. It was a clear, concise explanation that bore the hallmark of a good teacher -- ability to make things simple and crystal. Goodness, however, needs to be sourced and too extreme a reticence about the source of the Lasallian project will get you the kind of incomprehension that sees a difference where there is none (as when 'Johannian' is seen as different to 'Lasallian'). That at least was a mistake by somebody not of the same faith. When it is made by someone of the same faith, as I happened to witness at the ceremony to launch the centennial celebration of St. John's Institution on the school's premises on the morning of 19 January, 2004, I remonstrated with my co-religionist, another former student. He said he saw nothing amiss that there was no Christian prayer recited (the prayer said was a doa) on the launch ceremony because "After all, we pray to the same God." I just looked up to the spire on the roof of the building fronting the assembly area, at the small grotto with the figure of St. John Baptist de Lasalle, and wondered if he would also demur at this conception of the Deity. And if he would think it a fault of the system he founded that would allow a product not to tell the difference between his faith and that of others. Ambitions and visions are what is required for a sports to grow. Meritus Racing Team certainly have both and their desire to realise their dream did not come overnight. The Malaysian national team have developed step by step in the Asian motorsport ladder, winning 32 internationals titles in 12 years and have expanded to GP2 Asia, where they are the only Asian team granted a license to race in the series. GP2 Europe is the F1 development series for drivers and teams. Basically, it is back to development no matter what sports. One has to learn to walk before they can run. But at the sametime, ambitions are fine, but it has to be realistic ambitions. Some may consider Meritus Racing Team's ambition as far-fetched, but here is a team who know what they are talking about having been passionate about the sports and progressing from one stage to another. They did not mushroom overnight and come up with lofty ambitions. It is a well planned and designed ambition. 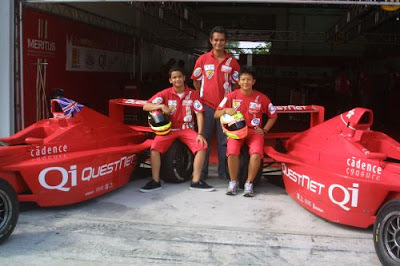 KUALA LUMPUR (AUG 20, 2009): Meritus Racing have an ambitious plan to be ready to compete in Formula 1 by 2016, making them the first South East Asian country to have an entry in the motorsports' biggest event, and they just might do it, in a made-in Malaysia car. The Malaysian national team have developed step by step in the Asian motorsport ladder, winning 32 internationals titles in just 12 years and have expanded to GP2 Asia, where they are the only Asian team granted a license to race in the series and have announced plans to expand their race engineering services to GP2 Europe by 2011. GP2 Europe is the F1 development series for drivers and teams. One of the new F1 teams 'CamposF1 have spent the last four seasons of the series to train and develop their motorsport technology. 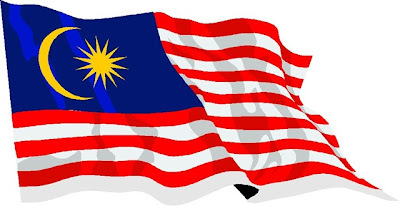 produce formula cars for export and hopefully to design a Malaysian F1 car by 2016.
team's unprecedented successes since 1996, is within grasp as Asia's most successful motorsports team have been quietly setting up the blueprints which will see them race in Europe in two years time. Team boss Firhat Mokhzani Rio Haryanto (16) and Dustin Sofya (14), talent spotted by the Malaysian team. "Meritus are the only Asian team to be given an entry license to race in the GP2 Asia Series (and have invested RM25million to date) and this is partly because of our engineering success and our 32 Asian motorsport titles and dominating Formula BMW and Formula V6 series for the last six years. These are the Asian stepping stones to racing in the pinnacle of motorsports, Formula 1," explained Firhat. "Malaysia and Asian motorsport offer a very cost effective ladder for drivers to step up from karting and provide all the career steps for ambitious drivers focusing on F1. The big difference for Asian families following a lucrative sporting career for their child is that these Asian steps are at least 50% cheaper than similar European ladders. 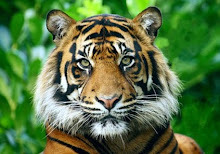 "Meritus are planning to expand our current GP2 Asian operations to include GP2 Europe by 2011. Our GP2 teams will basically be the Malaysian National F1 Development team as well as training our Malaysian race engineers. "The first goal is to develop our Malaysian Motorsport engineering technology and to develop a sustainable Malaysian motorsport industry for the export of formula cars to the multi billion dollar motorsport markets in Europe and North America. This will provide a sustainable profit generating industry which will absorb the development costs to structure and develop an engineering design team. "We would be honored one day to race as the National team in F1 and we hope to be ready to build our own F1 car with Malaysian engineers to achieve that goal by 2016." Firhat when on to say: "The team have already helped drivers who have gone on to race in Formula 1. F1 pilots such as Narain Kartikeyan and Takuma Sato, Recardo Rossett were all Meritus graduates. In fact the ex McLaren F1 David Coulthard first tests in a slicks and wings formula car was with Meritus in 1990. 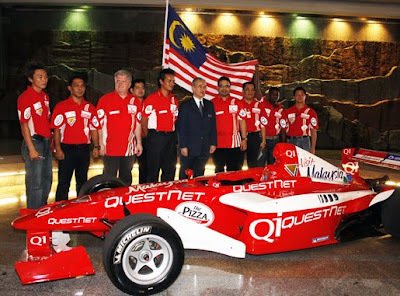 "Our 2003 Formula BMW champion, Hopin Tung tested a Williams F1 car and our own super star Jazeman Jaafar was invited by Sir Frank Williams to try the team's F1 simulator two years ago." Firhat said all of these efforts have helped generate profit and global awareness for Malaysia but nothing would beat the exposure of developing a national team to race in Formula 1. With the team in Firhat's capable hands, 2016 is a realistic target. The final journey for Datuk Bro Lawrence Henry Spitzig was a touching and an emotional one, for the thousands he had touched in one way or other. 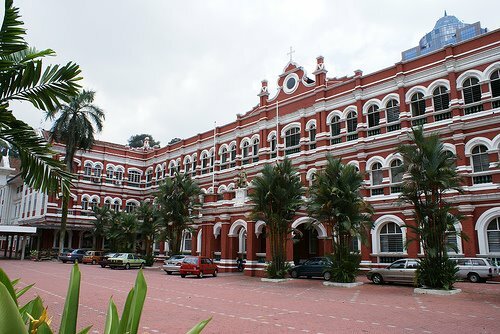 It started at St. John's Institution, the school where Bro Lawrence had first stepped foot in 1941 to teach. 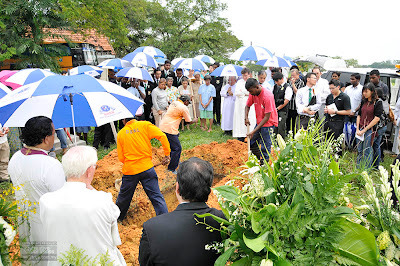 Bro Lawrence was in wake since yesterday morning and thousands came to pay their last respect. 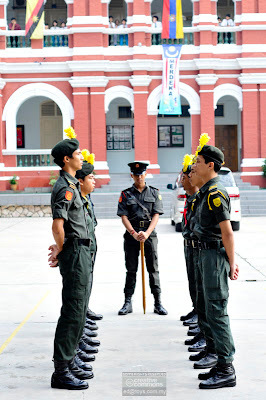 The ceremony at the school began as early as 7am when the SJI School Uniform had "Fall-in" before the School Assembly. At 9am there was a Brother's and Sister's Christian Community Prayer before the Amazing Grace was played by the SJI Cadet Bang Bagpipers. Rev Eugene Benedict (second from right), blessed the body of Bro Lawrence accompanied by the Brothers and Sisters. At 9.15am, Master David Fernandez (below), gave a welcome speech and was followed by eulogies, tributes and speeches which left everyone touched and realised what a great man Bro Lawrence was. Some choked while they were giving their address, while some had watery eyes while others had to stop from time to time, to compose themselves and continue. That was how touching the moments were and many among the thousands who were present were seen shedding tears. Among those who spoke included, Encik Md Azmi Abdul Ghani (SJI Cadet Band Alumni Vice-President), Michael Simon (SJI Alumni Association), Datuk Abdullah Hj Mohaidin (Chairman PIBG SJI), Vincent Fernandez (Board of Govenors and former student and teacher) and Brother Visitor, Bro Thomas Lavin. Brother Visitor, Bro Thomas Lavin. The ceremony ended with the Hymn " Abide by Me" accompanied by the SJI Band Bagpipers. This was followed by the March salute by the SJI School Uniform units before the Last Post by SJI cadet Band Trumpeter. Fitting, Bro Lawrence left the school building after all present sang the 'School Rally" with the SJI Band accompanying. The song was written by Bro Lawrence. The March out to the St. John's Cathedral was folowed by the SJI Cadet band and other SJI uniform units, Brothers, Sisters and distinguished guest. At the Cathedral, thousands were waiting for the arrival of Bro Lawrence and the Eucharistic Celebration was led by Archbishop Murphy Pakiam and Monsignor Rev. James Gnanapiragasam and seven other priests which included Rev John Gnanapiragasam and Rev Eugene Benedict. Among the dignitaries was the High Commissioner of Canada, HE David Collins(below) and his wife and Deputy Education Minister, Datuk Dr Wee Ka Siong. The service which included a eulogy by Bro Thomas Lavin and a video presentation of the works of Bro Lawrence, that lasted an hour and fifteen minutes. 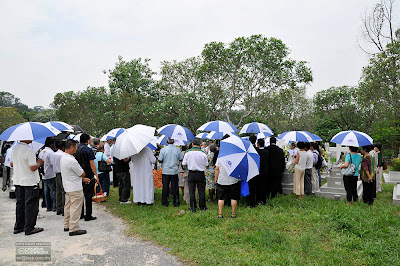 Hundreds then accompanied Bro Lawrence on his final journey to the Cheras cemetery where he was laid to rest. Bro Lawrence is no longer with us, but he will forever be close to our hearts and his works will be a legacy which will live on forever. Rest in Peace Bro Lawrence and God Grant you eternal rest. Acknowledgment: All pictures courtesy of Edward KL Chan from the Class of 81' He can be contacted at Sri Cinnmal Sdn Bhd (03-9258 6668, 9285 6658 or email: ed@toys.com.my) Thank-you Edward.